Perfect Microwave Caramels are the softest, creamiest, and easiest caramels you will ever make! 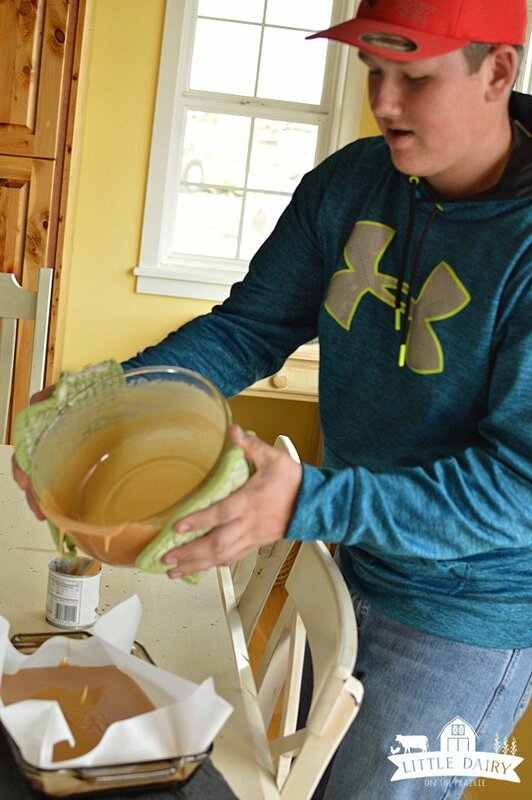 No constant stirring, not candy thermometer, no fuss. And they absolutely melt in your mouth! I found the recipe for Perfect Microwave Caramels in a RV add that came in the mail. Weird right? I guess I was added to the junk mail list after I went to the RV lot and halfheartedly looked at a camper one day. The saleswoman sends RV fliers to me all the time and they have the best recipes on them! It’s the only kind of junk mail I like! My Grandma made so many different kinds of candies; divinity, fudge, rocky road, hard tack. I always wanted to try making them but my Mom wasn’t into making anything that required the use of a candy thermometer. 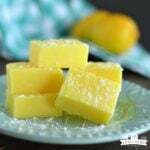 Although have added a few candies to my recipe box that require a candy thermometer my favorites are the recipes that aren’t quite that precise. With a name like Perfect Microwave Caramels you know these are going to be easy. It doesn’t get any easier than using the microwave. I think my boys could even handle this one! First, melt butter in the microwave. Add sweetened condensed milk, brown sugar, and corn syrup. Microwave for another 4 minutes. It’s going to start getting thicker after every 4 minutes of microwaving. Remove from microwave and stir again. Microwave for 4 more minutes. Remove from the microwave, stir. 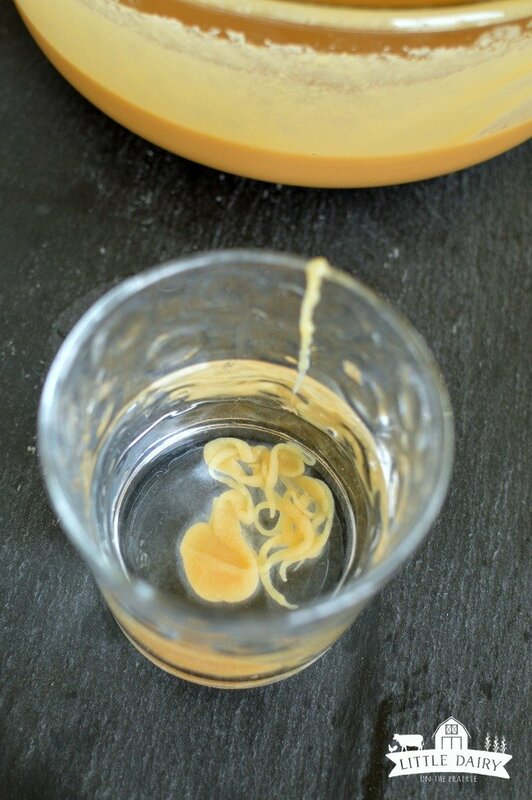 Check to see if caramel has reached the soft ball stage by dropping a small ball of caramel into a glass of water. Remove caramel from water and check to see if it is the right consistency. Even though I like my caramels extra soft I determined my caramels needed to be microwaved for one more minute. They probably could have been microwaved for 2 minutes more and still been just fine. Since I like them soft I stopped after one more minute. So check caramels for softness and microwave another 1-2 minutes (after this 2 minutes of cooking you will have cooked it 4 times for a total of 13-14 minutes). Once caramels have reached desired consistency add vanilla and a dash of salt and stir. I lined my pan with parchment paper and sprayed it with baking spray. Then pour caramel mixture into pan. Or have your helper do that job. Sprinkle them with sea salt once you have them poured in the pan. Let caramels sit until completely cooled. You can put them in the refrigerator to speed the process up if you are impatient like me! They will firm up as they sit. Remember they will be softer if you choose to microwave them for less time and will be firmer if you microwave them longer. I’m giving you options! Once caramels are cooled you can either cover with plastic wrap and leave them in the pan. Or you can cut them into pieces and wrap in little pieces of wax paper. Perfect Microwave Caramels are seriously so easy to make. While the caramel was cooking in the microwave I folded laundry, emptied the dishwasher and swept the floor. What I’m trying to say is that you don’t have to stand by the stove top and constantly watch and stir these caramels. 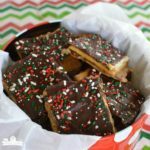 All you have to do is pop them in the microwave, go do a little task, stir, microwave, do a task, stir…I loved my Grandma’s candy making skills, but I’m also super happy to find a recipe that doesn’t really require any skills! If you don’t make any other candies this Christmas, make sure to at least make Perfect Microwave Caramels! So perfect! These Caramels are perfect because they are soft, and creamy, and dreamy and the are made in the microwave. No scorching, no constant stirring, no candy thermometer. Just a microwave and a spoon, that's about all you need! Line a pan with parchment paper and spray paper with baking spray. If you want taller caramels use a 9 x 9 pan. If you want short caramels use a 9 x 13 pan. If you want medium sized caramels use an in between sized pan. That's what I did. Use a large microwave safe bowl for this recipe. Make sure your bowl is pretty big or the caramel will boil over. Add brown sugar, corn syrup and sweetened condensed milk to butter. Stir to combine. Microwave 4 minutes. Remove from microwave and stir. Microwave another 4 minutes. Remove from microwave and stir. Microwave another 4 minutes. Remover from the microwave and stir. Do a soft ball test by dropping a small ball of caramel into a glass of water. Check to see how soft the caramel. is. 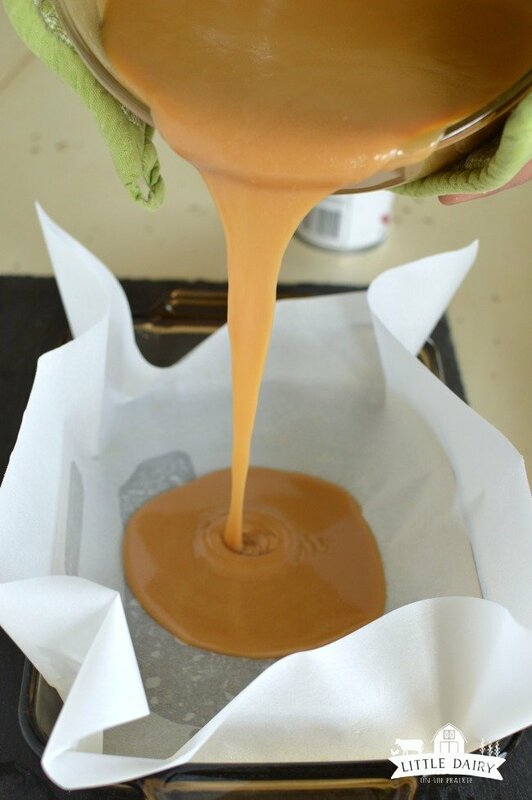 The caramel should hold together in a ball and be pretty soft. Determine if caramel is the consistency you would like. 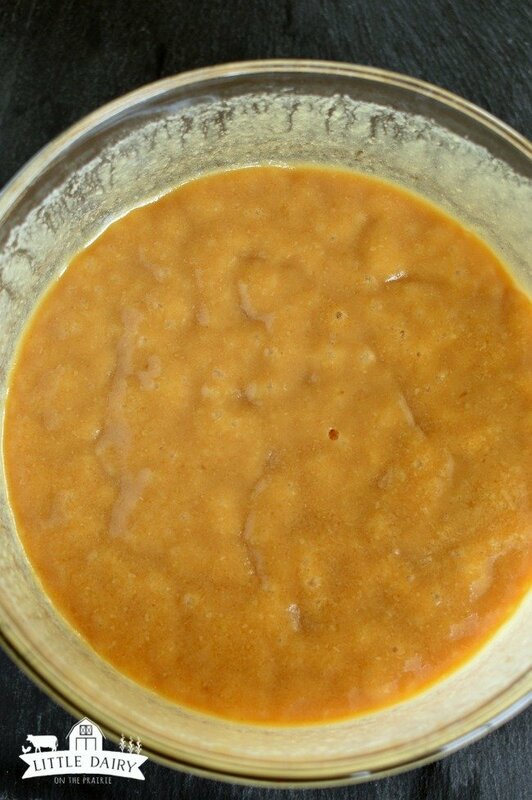 If caramel is a little to soft still microwave for another 1-2 minutes. I microwaved mine for 1 more minute and it still produced a very soft caramel. 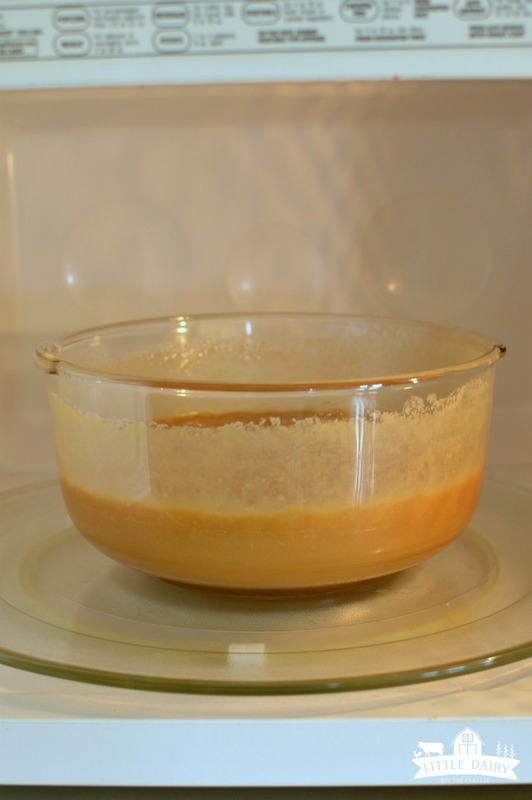 Once you've reached desired consistency remove caramel from microwave and stir. Add vanilla. Add a dash of seas salt if desired. 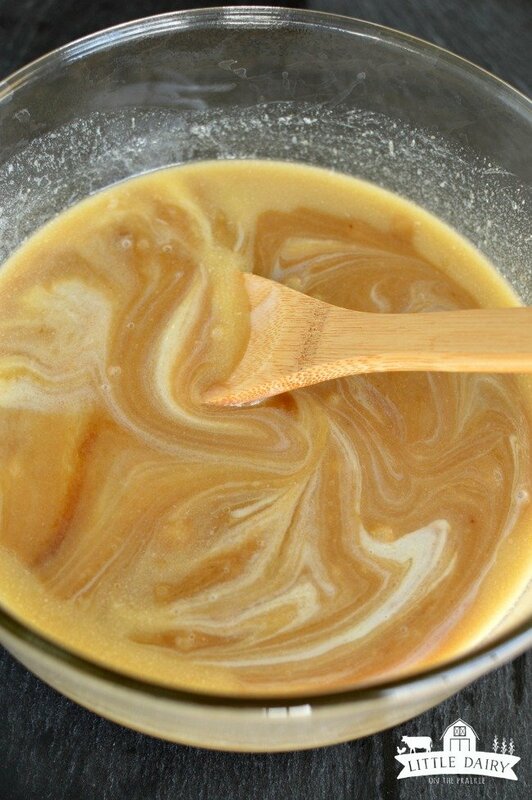 Pour caramel mixture into prepared pan. Let caramel sit until completely cooled. Remove from pan and cut into squares. Wrap in small squares of wax paper or store in an air tight container. They seriously beat standing at the stove stirring! We loved them! I have to try this! I love how easy it looks! It is so much easier than I thought it would be! Those really do look so soft and chewy! They are incredibly soft, just the way I like my caramels! I love how simple, yet delicious these are! Everyone needs a few simple recipes for the holidays right? What a brilliant idea! I’ve NEVER had microwave caramels, and this sounds so much easier than the stovetop kind because I *always* burn my caramel. Gotta try this soon! 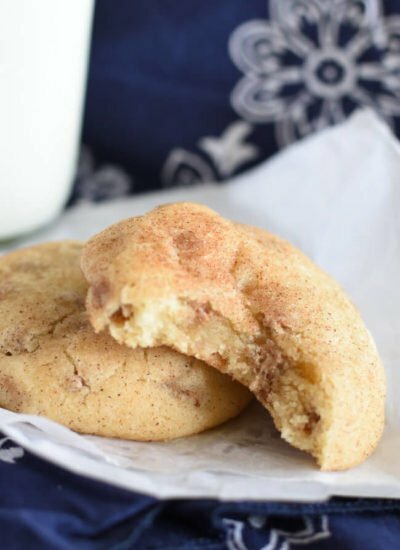 These are almost fool proof, and yes so much easier than babysitting them on the stove! I love the step by step photos….these really do look perfect! Thanks! 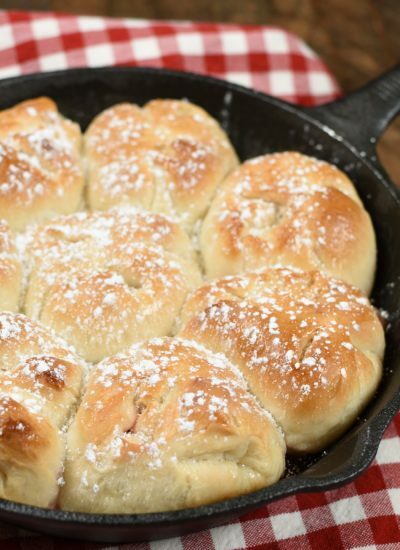 They are so easy and incredibly yummy! I have made quick caramels using a similar method, only 6 minutes in the microwave. A bit soft but Oh So Tasty !!! I am wondering about that awesome checked paper you used for wrapping.. Is it some sort of special wax paper? It’s actually parchment paper my sister bought for me at World Market! I love it! She gave it to me quite a few years ago so I’m not sure if they still have it. Merry Christmas! Where did you get the cute green and white wax paper wrappers? My sister bought it for me at World Market. It’s actually parchment paper though! I make these all the time but would like to know where you got your “fancy” wax paper to wrap your carmels in….I can only find plain wax paper. Thank you for the recipe. It’s actually parchment paper that my sister gave to me. She said she bought it at World Market! I love it! Happy Holidays! Rhank you for sharing! I wonder what the salt dies ? I like the salt because it just offsets the sweetness of the caramels just a little bit. It’s optional though! Happy Holidays! 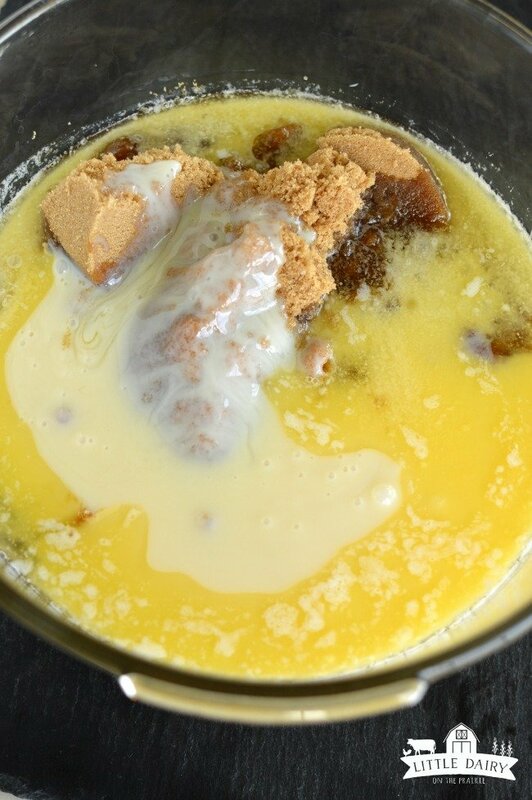 Have you ever tried with other flavors of the condensed milk? I haven’t ever experiented with that but it would be fun! Let me know if you try it! These look so good, is the butter just regular stick butter , salted or unsalted ? Yes, it’s regular stick butter. I always buy salted butter because I’m an addict but I think either one would work just fine! Hi I made these today, but the recipe I was given was to cover with plastic wrap tightly for first cooking stage, then remove wrap & do the final stage of microwaving. Same exact ingredients, same total cooking time. They are like toffee. It requires sucking til melted in mouth. Chewing would pull every filing, crown & implant right out!! Suggestions? Flavor is amazing, but so far from soft & chewy. I’m a little confused as to whether you used the instructions on my recipe or a different recipe? I don’t cover my caramels at all. They turn out border line too soft, which is exactly the way I like them. I wonder if your microwave cooks extra hot? I tried this using the stove not the microwave and the carmel didn’t harden it was thick and still tasted goid but could only put it in a canning jar for sundaes. I’ve never made it on the stove before so I can’t really give any advice on that. Maybe it needed cooked just a little longer. 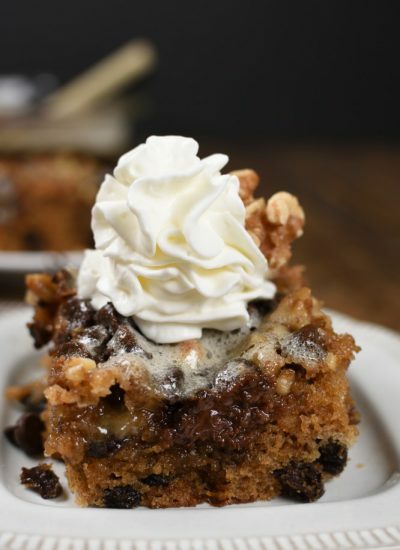 It’s good to know this recipe doubles as an ice cream topping recipe! What power level on the microwave should I use? I use full power and it’s just right! Merry Christmas! Is it one stick of butter or two? 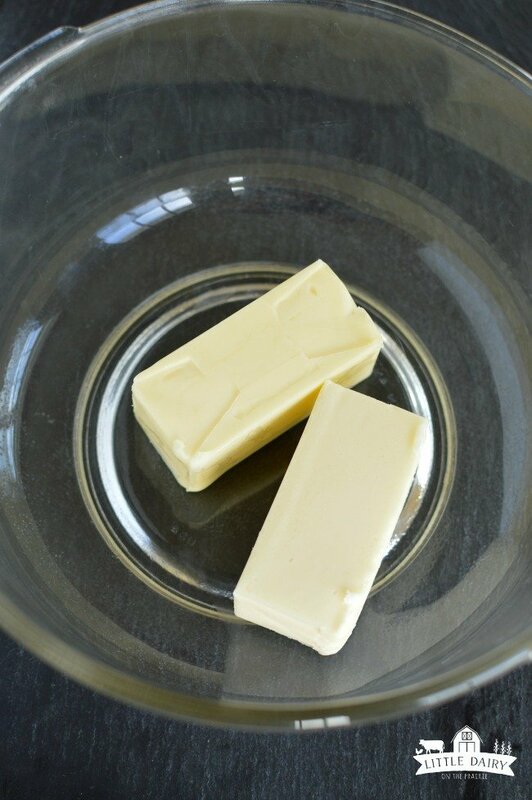 One stick of butter is 1/2 of a cup. So it’s two sticks to make a cup! Will this recipe work for caramel apples or is it too soft? That’s a great question! I haven’t ever tried using this caramel recipe like this but I can’t imagine why it wouldn’t work. Let me know if you try it! Can you replace the corn syrup with honey or will it taste bad? I haven’t ever experimented with substituting honey for corn syrup so I can’t say how it will turn out. I don’t think it will taste bad. I’m not sure what the differenct would be in consistency or if honey burns more quickly than corn syrup. Let me know if you try it! Hi, I am very keen to make these does c mean cup? Yes! c. is represents cup! Good luck! I was making a brownie that called for caramels, and didn’t feel like running to the store to get some. When I came across your recipe, it looked fast and easy.So I whipped it up and it was awesome. I used some straight out of the microwave to swirl in my brownies, and put the rest in a pan for t caramels. Even dipped some in chocolate. I took brownie and caramels to a potluck BBQ and they were a bit hit!! Thanks! I will be checking out your other recipes for sure! Hi Mary Ann! Thanks for stopping by! Using these caramels in brownies sounds heavenly, I’m pretty sure I need to try that! Yummy! Come wander around my site anytime. It’s full of quick and simple recipes! Have a great day! Does the wattage of the microwave make any difference? 750 – 1200? Hi Beryl! My microwave is a 2100 Watt microwave. I’ve done a little reading about how microwave wattage affects cooking times and it sounds like it’s a little bit tricky. You can ready one of the articles I found here http://www.theeagle.com/brazos_life/food/lisa_fritz/adjusting-cooking-times-based-on-microwave-wattage/article_50530958-5075-57af-b75d-298cb2ec3060.html. I’ve only made these caramels in my microwave so I’m not exactly sure how to adjust the time. You might have to experiment a little! Sorry I’m not much help in this department! Thank you for your response and the article. Will let you know how it goes. Not only is this the absolute BEST caramel I have EVER tasted, it’s the EASIEST I have ever made. Twelve minutes (total cooking time) was the perfect soft ball temperature (236 -240 degrees F) when I checked it with a candy thermometer. 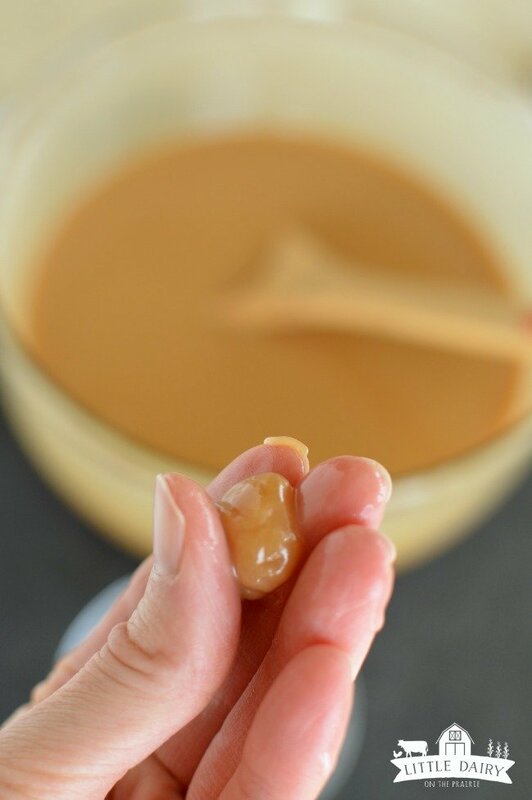 Can you even believe you can make it’s this easy to make this fabulous caramel! It’s CRAZY! So glad you tried it and loved it! The caramels are the best. Soft and chewy. I had to microwave mine 13.5 minutes in total. Thanks for the recipe. Yay! So glad you loved them! You just can’t beat super easy caramels that taste this good! I haven’t ever tried substituting any other ingredients for the corn syrup. I would worry about the burn temperature of other ingredients such as honey, or having it alter the overall consistency and texture. Thanks for stopping by! How long do your wrapped caramels last? Do you keep them refigerated after wrapping or in room temperature? Thanks! My boys eat the whole batch pretty quickly! I’ve been successful at hiding them in the refrigerator for up to two weeks before. I like soft caramels so I take them out of the fridge and let them get to room temperature before eating them. I don’t really know how long these last because they are consumed so quickly after making them… Sorry that’s no help to you, however. And no, they do not need to be refrigerated. Thank you so much for sharing this wonderful recipe. My mom also learned to make all kinds of candy, and spent hours cooking, cooling fondants on a jelly roll pan and then using a wooden paddle to turn it until it turned into the correct consistency, wrap in wax paper and store in a cool whip type container in the fridge for 4 to 6 weeks. Take out, roll into small balls, and dip in tempered chocolate, trim, mend and put in fancy wrappers. She loved making all flavors, and then she would stand and stir caramels for 45 minutes, and pour out. Sometimes she would have to scrape them back into the Dutch oven and warm up and cook for 5 more minutes so they were a little firmer. Sharing this easy recipe is like sharing a precious childhood memory, and making it possible for everyone to enjoy something so special. Thank You, so much. Your mom was amazing! I would have loved to watch her and learn a few of her candy making skills! And yes, microwave caramels are just right for those of us who aren’t candy making experts and still want to enjoy yummy homemade candy! Can you use something else instead of the condensed milk such as coconut milk or coconut cream to make a dairy free version? Hi Gina! I don’t think substituting will work in this recipe because those other milks have such a different consistency. Sorry! Well apparently I’m too impatient! I added the vanilla before microwaving and it isn’t getting thick..
Oh shoot! I didn’t think adding vanilla too early would have made it runny. Maybe your caramel needed a little bit more time in the microwave. I guess you can always eat it with apples! Just made it, & it turned out perfectly! I have a 1100 W microwave, & did mine a 13 minutes, 45 seconds. It’s still a bit soft, but just the way I like it. I plan to make a second batch, to use when making Turtles candy…….Thank you for the time saving recipe. Now turning these caramels into turtles sounds like a fantastic idea! I think I’m going to have to try that! Absolutely amazing! I never comment but I am so impressed with these caramels, I had to tell the world. Delicious! I used dark brown sugar because that’s what I had. Pure perfection. Thank so much for sharing. Yay! So happy you love them! Thanks for stopping by! These are so delicious! I am so happy I find your recipe! Thank you! I loved the recepie!!!!!! So easy to make and completely delicious!!!!!!!!!!! Thank you for this amazing recipe. Tried making these today, but my batch is soooo much darker than yours! I live in Norway, may our brown sugar be a different brown than yours? Have drizzled chopped walnut and seasalt on top, exited to try them when cooled! Hmmm! I wonder if your microwave cooks hotter than mine making your caramel cook a little faster. If it did overcook it might be a little harder than it should be. I’m crossing my fingers and hoping it’s just the brown sugar or something because these caramels are so delicious! They tasted *Perfect*, so guess the difference is in the sugar. Thank you so much for sharing!!! I have made these a couple of times. The first was fantastic. The next time I made they they were grainy and would not set up. I even returned the mixture to the microwave for a further two minutes but there was very little improvement. Any suggestions please? Hi Beryl! I’m not sure what would cause such different results. I’ve heard people say that having wet utensils when making candy can cause problems. That’s kind grasping for a solution but I guess it could be possible. I’m not sure what else it could be? What can you substistute for the corn syrup? Hi Maria! I haven’t ever tried this but I think you can substitute 1 1/4 cups of sugar dissolved in 1/4 c. water for corn syrup. Good luck with it! wonderful caramels yummy i used 1/2 cup of light karo corn syrup and 1/2 cup of british lyles golden cane syrup made it very dark but so yummy ty for the recipe ill never buy caramels from the store ever again. Some of my readers asked about substitutes for corn syrup. It’s good to know you’ve successfully substituted. Thanks for sharing your tips! These caramels are so soft, and delicious, yet so easy I don’t ever buy caramels either! It’s so worth the little bit of effort! We are having a caramel apple bar at our anniversary party. I want to keep caramel in a crockpot for guests to dip apples in or spoon over their dish of cut up apples. 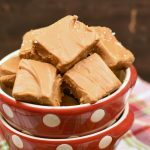 Can I make this caramel ahead of time, keep in the refrigerator and then put in the crock pot to be the right consistency for what I’m trying to do? Congratulations on your anniversary! I’ve never tried using this caramel as a dip so I don’t know exactly how it will turn out. If I was making the caramel as a dip I would microwave it for less time, I’d guess a total microwave time of about 8 minutes. It should be much thinner than traditional caramels. At that point you could refrigerate it until it’s party time. Stick it in the crock pot and get just in time to get it warm before serving. If you already have the caramels made as directed in the instructions you could put them in the crock pot and add just a little bit of milk to thin the caramel a little. Keep adding milk until you get the consistency you want! I had this recipe before and loaned it to someone and never get it back glad too find it again!! Thanks!! They a hit at work and with family!! I’m glad you found it! I’ve lost a few recipes over the years and it’s always a little sad! These caramels are so easy and so soft and delicious! Enjoy! So kind of a funny story here. 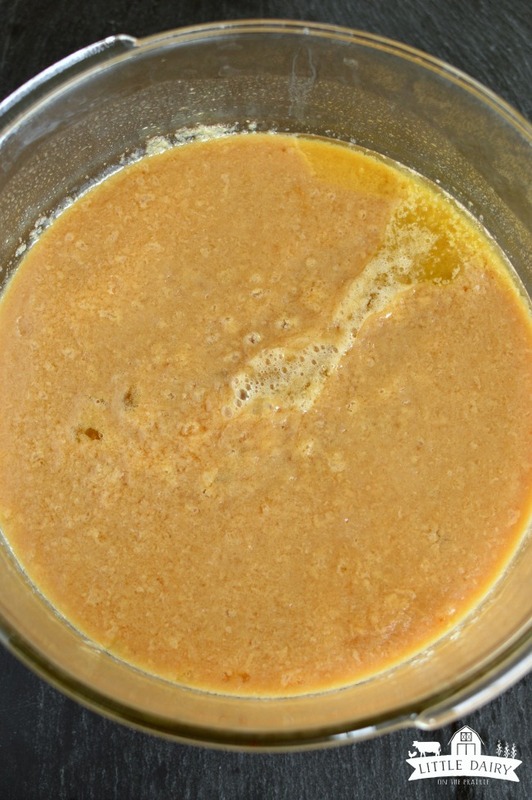 I was looking for the recipe I used for rum caramel a couple years ago (rum flavor was not in the original recipe) and I found a microwave recipe. It was a little different than this one, but I couldn’t remember so I tried it. Grainy. Found this one (I’m about 90% sure I used this last time) and halved it. Grainy. Was at a complete loss. Then I read the comments. I read the recipe as one STICK of butter, not one cup! My guess, not enough liquid to dissolve the sugar, but should be perfect next time :). Thanks so much for this great recipe! More butter is always a good thing! I’m glad you found this recipe and it turned out for you! Oh, and rum flavoring sounds amazing! Is there a way to keep these caramels from getting sugary after about 3-4 weeks? Hi Jonelle! In know exactly what you are talking about, unfortunately I’m not exactly sure how to stop them from getting sugary. My favorite solultion is to share them with friends and neighbors so they don’t have a chance to sit around that long! Let me know if you find a way to stop them from getting sugary though! I make lots of them as Christmas gifts to friends, so I have to start a few weeks before Christmas and some of the early ones start to sugar by Christmas. Can they be frozen without losing the goodness? People love them and they are super easy to make. Hi Jonelle! I haven’t ever tried freezing these caramels because my family polishes them off before very long! I’m not exactly sure how it would work, but I admit it would be nice to have a few batches in the freezer for super busy days! Let me know how it turns out! Thank you, this looks easier than the way I was doing it. Aren’t shortcuts the best? I love that these can be made in the microwave! It’s such a simple, yet foolproof method! Enjoy! Thank you so much for sharing! 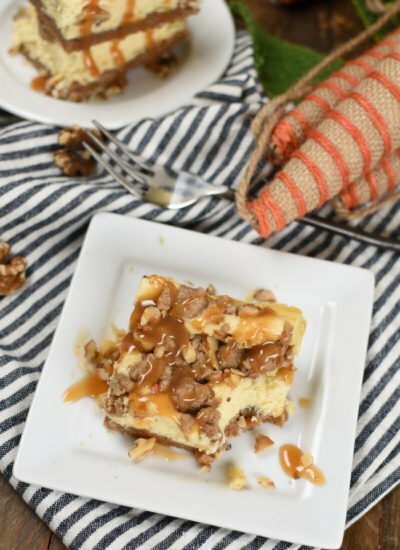 My husband loves caramel and with this recipe I can make it just for him! My children are 28,23 and 17 and it’s really easy so they can make their own. At this part of life with older children I should be catering more to my wonderful husband of 25 years in April 2019! Congrats on your 25th anniversary! I can tell you are still madly in love! Yes, this recipe is so easy! 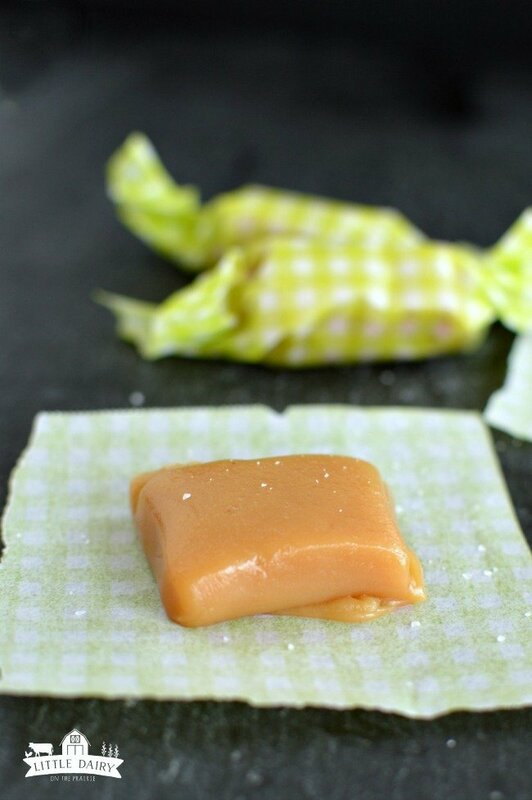 If you can use the microwave you can make these caramels! I’m so happy you’re enjoying them! 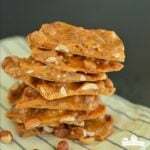 I have made this recipe several times and just LOVE it. I have taken to putting a layer of homemade marshmallow over the top, cutting into squares and dipping into tempered dark chocolate. wonderful 🙂 Happy holidays and New Year to one and all. Yay! 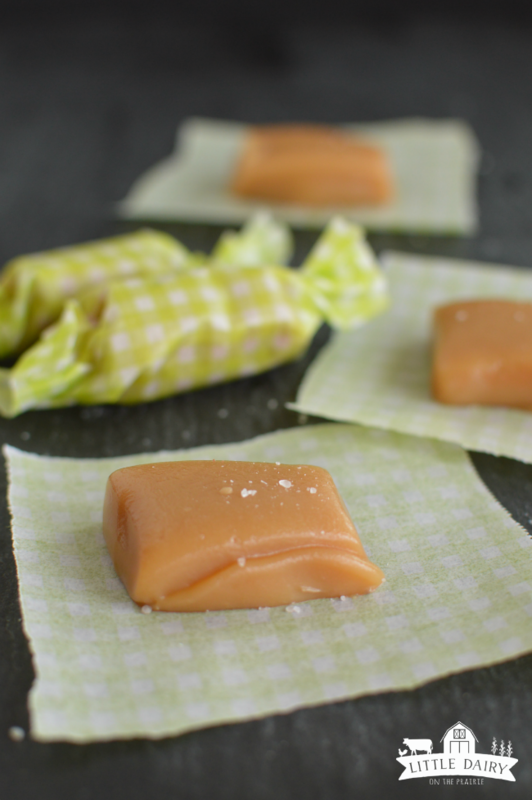 I can’t wait for you to sink your teeth into these super soft caramels! Enjoy! I just wanted to let you know that I tried this recipe and they turned out perfectly! I did add an additional 3 minutes just because I like my caramels a little more firm…but they turned out great! I will never go back to my old recipe that involves boiling on the stove! Thank you so much for sharing! Yay! I’m so glad you fell in love with these caramels! Standing over the stove stirring is highly overrated! 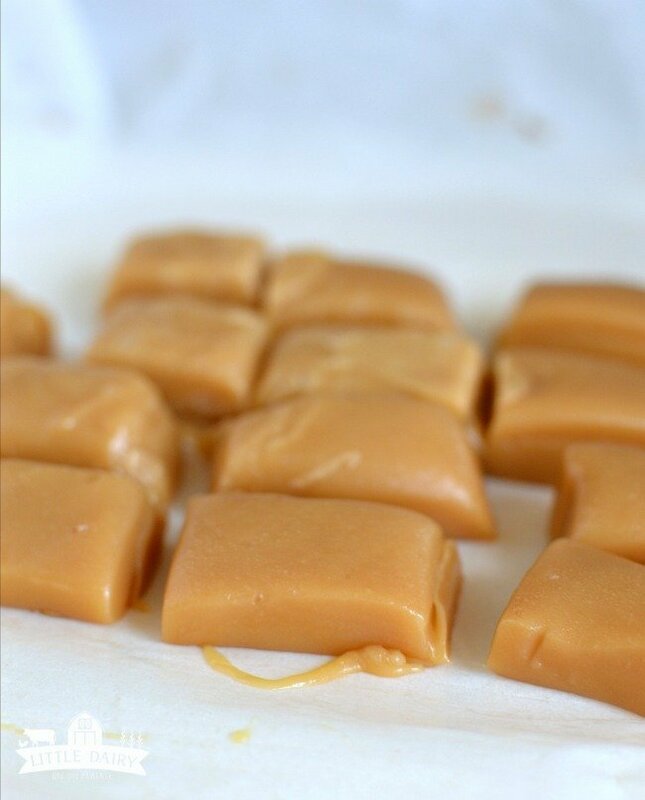 Microwaving these caramels is so easy and turns out every single time! Enjoy!